My friend recently gave me a ride in his Chrysler 200S (yes, someone actually bought one), and showed me a little “easter egg” that Chrysler included to throw some shade at the folks down the street in Detroit. Here’s a photo of the rubber mat on my friend’s car. Do you notice anything absent? The answer is the General Motors World Headquarters building, also called the Renaissance Center. That towering, glass-adorned, cylindrical hotel flanked by four enormous rectangular glass offices is perhaps the single most recognizable building in the city, and for Chrysler to leave it out of this sketch is very clearly casting shade on the cross-town rivals. It’s just a little thing that you may or may not have already known about, but something that I found pretty funny. So, the next time you find yourself inside Chrysler’s latest failed attempt at building a compelling midsize sedan, get a look at that mat under the center console and have a nice chuckle at a well-executed bit of shade. It's Actually A Decent Car. But Apparently Not Decent Enough. 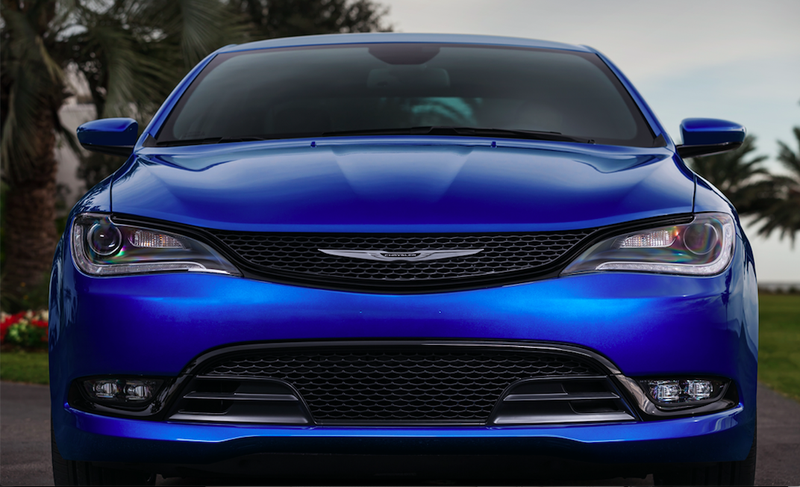 How Cheap Does A Chrysler 200 Have To Be Before You Would Buy One?